From Mediaite: The Dennis Rodman & Kim Jong-Un story keeps getting stranger. 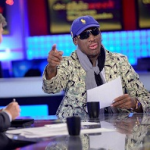 Mediaite reports on the latest: “Former NBA start Dennis Rodman stood by his controversial trip to North Korea and remarks about its dictator Kim Jong-Un on ABC’s This Week with George Stephanopoulos. Rodman downplayed his trip that some are calling ‘basketball diplomacy’ saying that he is not a diplomat while brushing aside allegations about North Korean death camps by saying ‘we do the same thing here.’ Rodman, wearing sunglasses indoors and dressed in a money jacket and blue polo baseball cap, said he did not talk about politics with Kim, sticking to basketball and having a good time with the North Korean dictator.” Read on here. From Gossip Cop: Another royal was hospitalized this weekend, but has been released. Writes Gossip Cop, “Queen Elizabeth II has left a London hospital after being treated for gastroenteritis over the weekend. The 86-year-old monarch was hospitalized on Sunday for the first time since a 2003 knee operation. 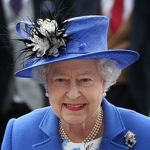 On Monday, she left the King Edward VII hospital without assistance before being driven away in a motorcade. Buckingham Palace said the Queen was in “good spirits” before her departure, and that all signs indicated that her illness was not serious. As a precaution, her official engagements for the week, including a trip to Rome, were postponed or canceled.” Read the story here. From Geekosystem: There was a big scientific development this weekend, Geekosystem reports: “A team of researchers at Johns Hopkins University and the University of Mississippi have announced that a new type of treatment using standard HIV drugs has the potential to be a functional cure for children who were born with the disease. That’s great news, and certainly impressive, but it leaves us wondering — what exactly does a ‘funtional cure’ mean for people living with HIV and AIDS? 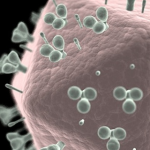 Rather than the costly and experimental stem cell treatments that have been observed working as HIV cures in rare cases in the past, the latest treatment is not the result of a new compound or lab technique — rather, it’s the result of finding new and more effective combinations of drugs that are already available and used to treat HIV patients.” Read more here. From Styleite: Does going to Paris Fashion Week sound like a drag? To Kirsten Dunst, it does. Writes Styleite, “It’s stories like this that make us glad we don’t have people eavesdropping in on our lunchtime chats with our girlfriends. Kirsten Dunst was apparently overheard at Craig’s in Los Angeles complaining about having to fly coach to Paris Fashion Week, being forced to fend off requests from exclusive invitation-hungry pals, and dealing with wearing designer duds all week. Page Six reports that Dunst’s rep denied any allegations of whininess with the retort that the Bachelorette actress was flying first class, and so wouldn’t have any reason to complain. Very helpful way to dispel the diva myth.” Read on here. From SportsGrid: It’s tax season, and one athlete’s in trouble. 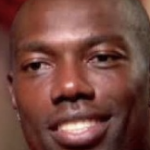 Reports SportsGrid, “Add Terrell Owens to the list of former professional athletes in deep with the IRS. Apparently the former NFL star owes over $430,000 in back taxes dating back to his playing days.Officially, the total is $438,913.52 from taxes owed in 2005 ($294,661.71), 2007 ($46,504.00), and 2009 ($97,747.81). Unfortunately, it doesn’t look like the IRS will be able to collect. Although Owens earned over $60 million during his playing days as an All-Pro receiver for the San Francisco 49ers, Philadelphia Eagles, and Dallas Cowboys, apparently he didn’t hang on to his money as his net worth is currently $0.” Read the story here. From The Mary Sue: Game of Thrones might be coming to your town… sort of! 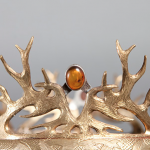 The Mary Sue explains, “With its third season close to being underway, Game of Thrones has accumulated a lot of props, and those props have decided to go on the road. Well, actually some HBO folks have decided to take an exhibition of props, costumes, and suits of armor on the road soon. The international tour will stop in Toronto, New York City, Sao Paulo, Amsterdam, and Belfast, and feature pieces from seasons one and two of the hit show.” See what pieces will be part of the traveling exhibition and whether you’ll be able to catch a glimpse here. From The Jane Dough: Why do people love Jennifer Lawrence but hate Anne Hathaway? The Jane Dough’s Meredith Lepore attempts to answer: “If you really think about it, Jennifer Lawrence and Anne Hathaway are actually very similar. They are both young and beautiful actresses, but they are also both extremely driven and want to work as much as possible. But Jennifer Lawrence has figured out how to channel her persona into the appealing, honest, “I’m a celebrity, but I’m actually just like you,” girl who can drink a beer, lead a franchise, wear sweatpants and be the face of Dior, while Anne Hathaway does not seem to have a fan in the world right now. If I were Anne Hathaway, I would fire my publicist. 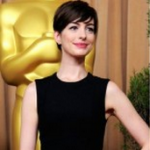 Since the Golden Globes, Anne has been unmercilessly picked on.” Read why here. From The Braiser: When you think of craft beer, do you think of …Corona? 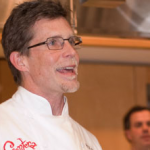 Rick Bayless is trying to change your answer, writes The Braiser, “Rick Bayless announced today that he would soon enter into a partnership with Crown Imports, the company that distributes Mexican beers like Corona in the US, to create his very own Rick Bayless craft cerveza. AdAge reported the details of the partnership, in which Bayless will become one of Crown’s ‘master brewers’ and develop his own line of beer, in exchange for Crown sponsoring Bayless’s PBS series Mexico: One Plate At A Time. Sadly for everyone outside of the midwest, the Bayless beer,which may just pair nicely with Mexican cuisine (call it a hunch), will only be distributed regionally to start.” Read the full story here.